I like to draw, but I will admit I am not the best at it. Give me something to look at while I'm drawing and I am at least a little bit better. 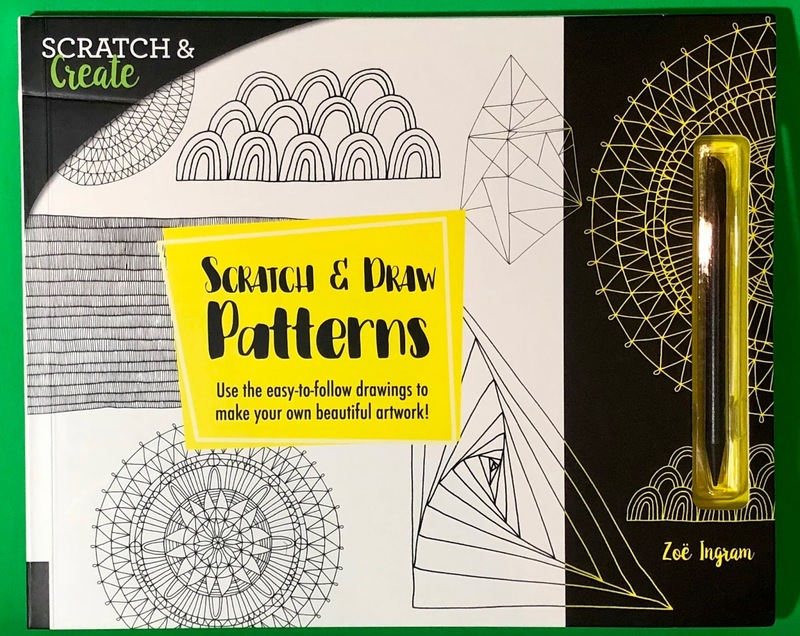 That's what initially attracted me to the Scratch and Draw Patterns book. It gives you drawings to look at and then try to "scratch" to draw them. Some patterns are pretty basic while some are a little more advanced. You can of course scratch and draw freehand too as the pages are blank to start with. 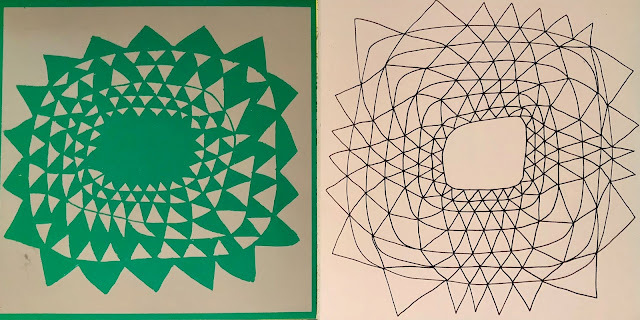 For the drawing I chose I opted to start out following their pattern, then I decided to add my own spin on it. Sometimes following something to a "t" so to speak can be a bit stressful for me so I decided to just use the drawing as a starting point. My drawing is the one on the left with the green background. There are several different colors of backgrounds that are revealed as you scratch off the surface layer when you're drawing. I used that to my advantage to give my drawing some added depth and color instead of just having a basic outline like the book. On the overall I really enjoyed doing the picture once I reminded myself there's no right or wrong way to do it.